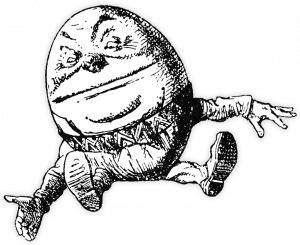 The Lewis Carroll Society of North America (LCSNA), founded in 1974, is an organization of Carroll admirers of all ages and interests, as well as a virtual center for Carroll studies. The Society has members throughout the world, including Australia, Brazil, Canada, Germany, Israel, Japan, The Netherlands, Russia, Sweden, and the UK, with interests in virtually all of Lewis Carroll’s many pursuits and in his continuing impact on our current culture. 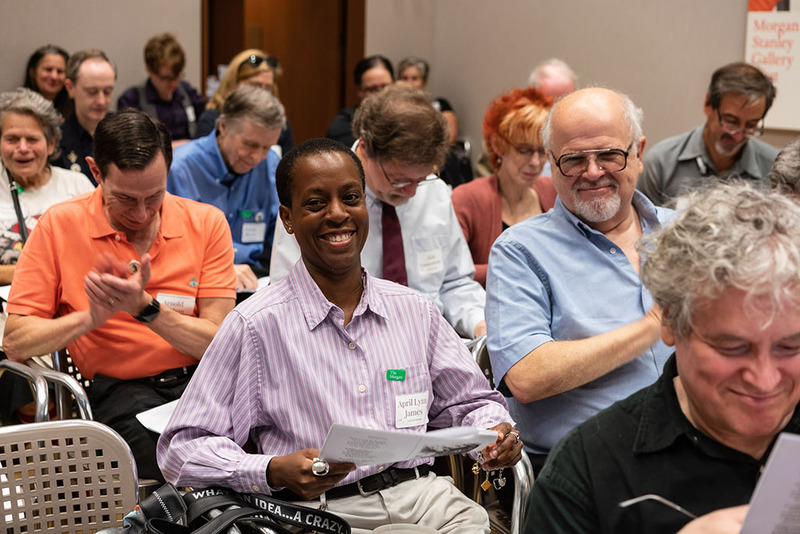 The Society holds a one-day meeting twice a year, in the Spring and in the Fall. Meeting places have included such locations as the Parrish Collection at Princeton University, the Berol Collection at New York University’s Fales Library, the Folger Shakespeare Library in Washington DC, the Humanities Research Center at the University of Texas in Austin, the Newberry Library in Chicago, the Arthur Houghton Collection at the Pierpont Morgan Library and the Harcourt Amory collection at Harvard University’s Houghton Library. Meetings are free and open to the public. The list of speakers at our meetings is a veritable who’s who of all aspects of Carrollian knowledge. Below are listed just a handful of other notable speakers who have shared their wisdom with us over the years. When you consider the range of talks, you can begin to share our appreciation of the breadth of Lewis Carroll’s influence. There is more to our meetings than talks, panel discussions, and entertainment. We also enjoy sharing a meal. (And unlike Lewis Carroll, we enjoy eating more than just a biscuit and a glass of wine!) The communal luncheon or dinner is an integral part of our meeting agenda and provides time for catching up with old friends and making new ones. At the LCSNA get-togethers not only can you talk about the latest books, often you can chat with the authors themselves. It is a wonderful opportunity to learn more about our author and to establish life-long friendships with fellow Carrollians. Occasionally we have meetings that span two or three days. This allows us time to attend Carrollian theater productions, see local book and art exhibits, or hear music performances. 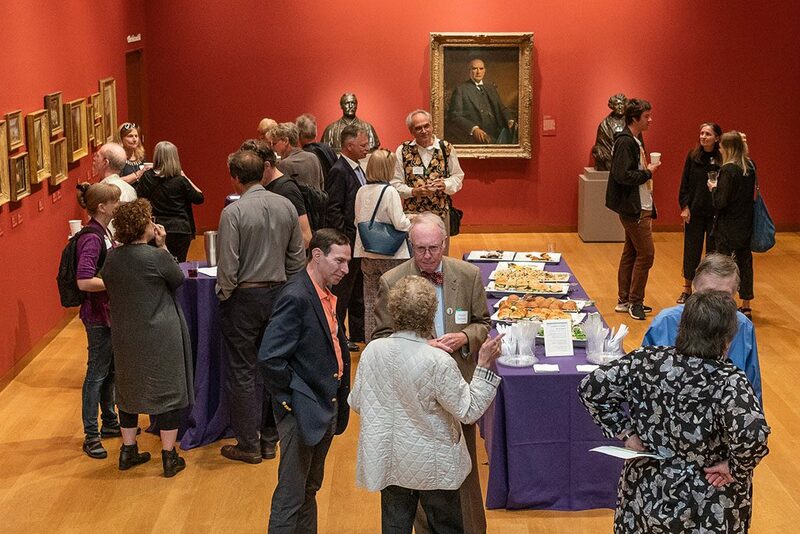 Our members enjoy having the additional time to engage in more tantalizing discussions with each other, compare notes, and brag about recent acquisitions. Often members are kind enough to open their homes to members who wish to view their collections during these extended sessions. We have also been known to have an auction now and again to benefit the Society, which always brings a different perspective to the group’s interaction. The Society maintains an active publication program. Members receive copies of the Knight Letter (our magazine), and often our new publications as free membership premiums. For example, the Society located and published the lost chapter of Through the Looking-Glass entitled “The Wasp in a Wig,” and during the sesquicentennial celebration of Carroll’s birth in 1982, the Society and the Pierpont Morgan Library jointly sponsored an exhibition called “Lewis Carroll and Alice,” featuring the original manuscript of Alice’s Adventures under Ground, for which an informative catalogue was printed. For more information, please see our Publications page. In 1994, the Society hosted the second International Lewis Carroll Conference at the Graylyn Executive Conference Center at Wakeforest University in North Carolina and gave Carroll scholars and enthusiasts from around the globe a chance to exchange ideas. We have sponsored expeditions to notable sites of Carrollian interest in England. We have also contributed to the Lewis Carroll memorial plaque in Poet’s Corner at Westminster Abbey, and to the maintenance of Lewis Carroll’s gravesite. We planned an epic series of Carrollian events in 2015, the 150th anniversary of the publication of Alice’s Adventures in Wonderland. Educating the public on Lewis Carroll’s many contributions to society is the focus of our ongoing programs. For more about this aspect of the LCSNA, please visit our Education and Lewis Carroll pages. The official Society Archives are housed in the Fales Library at NYU. Our officers keep things moving and are happy to answer questions not already answered on this website. Read more about them. Review our Constitution and By-Laws, which state the Society’s rules of operation. If you have interest in Lewis Carroll, or simply a love for Alice (or the Snark for that matter)—join us!